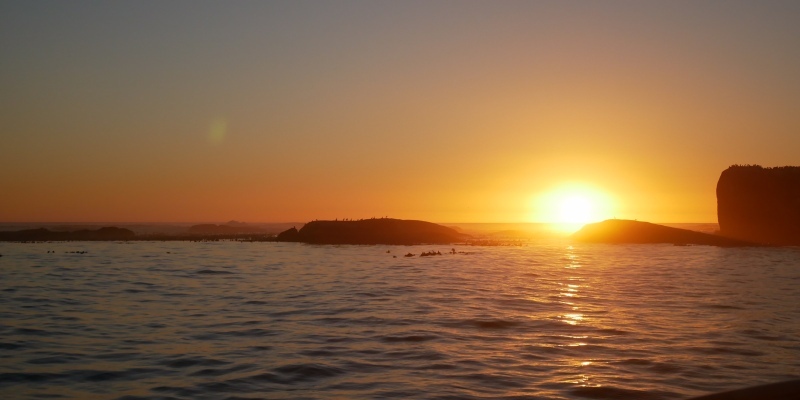 Enjoy the stunning Cape Town sunset from the comfort of a luxury boat during this 1.5 hour sightseeing cruise! The hour and a half tour departs from the V&A Waterfront, allowing plenty of time to sail out to sea ready for the sunset. 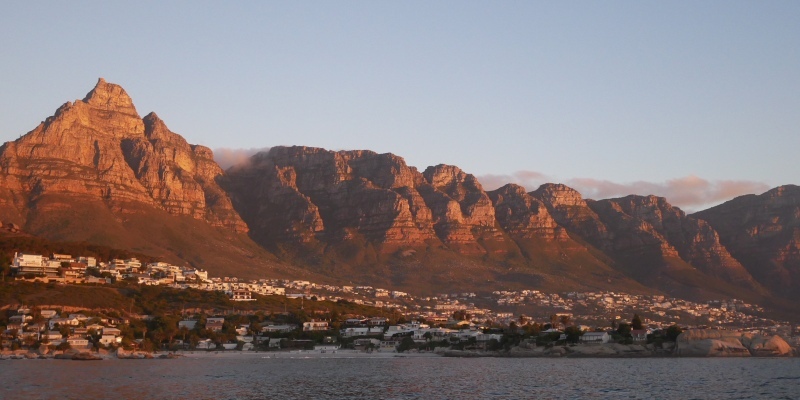 The boat will either head to Clifton 4th Beach or Table Bay depending on the weather, giving guests unparalleled views of the sun dropping below the horizon in one direction and the famous 12 Apostles in the other. On-board staff will provide passengers with a welcome glass of sparkling wine to add that touch of luxury to an already high-class experience. Bliss! 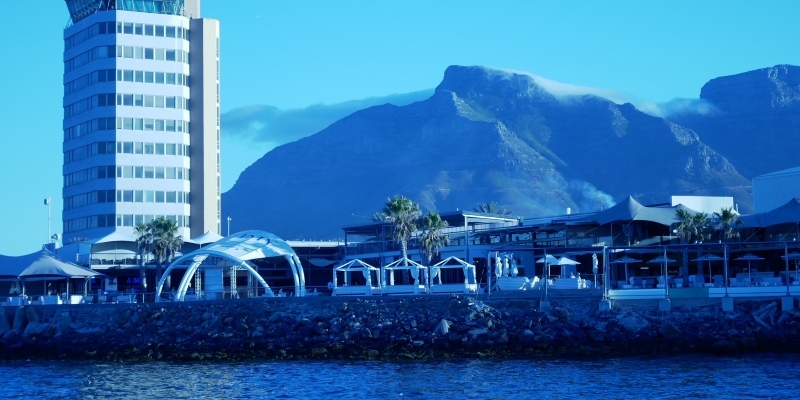 Treat your other half or a lucky couple to the Sunset Boat Cruise in Cape Town and enjoy an evening to remember, full of beautiful scenery, great company, and happy memories. Although the cruises run throughout the year, peak season is September to May. Cruises outside of this period are weather dependent and run less regularly. All bookings require a minimum group size to operate, and dates are subject to availability. The boat is wheelchair accessible. The sunset cruises lasts an hour and a half, and departs an hour before sunset. Participants: The Couples Sunset Boat Cruise in Cape Town is for 2 participants. This gift voucher is for two guests. The boat can accommodate up to 65 people. Please dress for the weather, and don't forget your camera! This was the first thing we did on arrival in Cape Town and it was the perfect experience to start with. Cape Town is beautiful from any angle but there's something special about a sunset on board a boat with the mountain backdrop. We were fortunate enough to see whales just yards from the boat which is something I'll never forget. There's plenty of room on board and inside if it gets a bit chilly which it can in the evenings. Highly recommended. This is the best way to enjoy sundowners! The evening started with a welcome aboard cocktail. Once everyone had arrived, we left the Waterfront and headed out towards Camps Bay. The views of the sunset and of Cape Town from the water were absolutely perfect! What a great way to spend time together. Highly recommended. We went on the Sunset Cruise on our first night in Cape Town, which started off our trip very nicely. The crew were incredibly friendly and helpful, and we even got to see a whale! 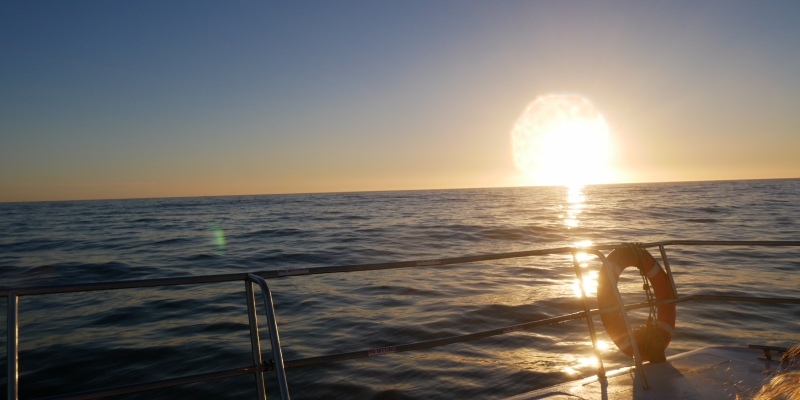 The sunset is the best I've ever seen; this boat cruise is truly the best way to watch the sun go down in Cape Town. On February 27th 2018 we were fortunate enough to be invited aboard the Tigger 2 Royale, a luxury 55ft catamaran that operates scenic cruises from the V&A Waterfront. Having just arrived in Cape Town from the UK, we were excited to get out and see some of the sights! 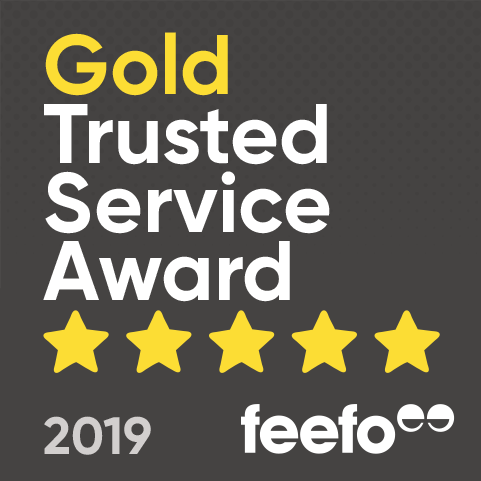 A chilled glass of bubbly greeted us on arrival, and once we'd settled in the plush cabin the staff took us through a safety briefing in the case of an emergency. The white leather seats and pale wood decking gives the vessel an air of sophistication that is complemented by the incredible views on either side; the Cape Wheel and V&A Waterfront behind us and the Atlantic Ocean stretching out ahead. I was somewhat surprised by the speed at which we powered out into open water - and certainly glad I wasn't wearing my sun hat! Every five minutes or so we'd slow the pace to allow for photograph opportunities, taking in the stunning views of Signal Hill, Lion's Head and the Twelve Apostles Mountain Range. At one point the captain rushed out to excitedly direct our attention to the southern right whale that was swimming close to the boat, apparently quite a rare sight so we were very lucky! Cape Town often features on 'Best Sunsets in the World' lists, but nothing could quite prepare me for the sheer beauty and vibrant colour of the sky as the sun sent glittering patterns across the surface of the ocean. We had time for one last drink at the on-board bar before we reached the Waterfront, disembarking to be greeted by a totally different nighttime scene, full of people setting out for dinner or enjoying the evening attractions. 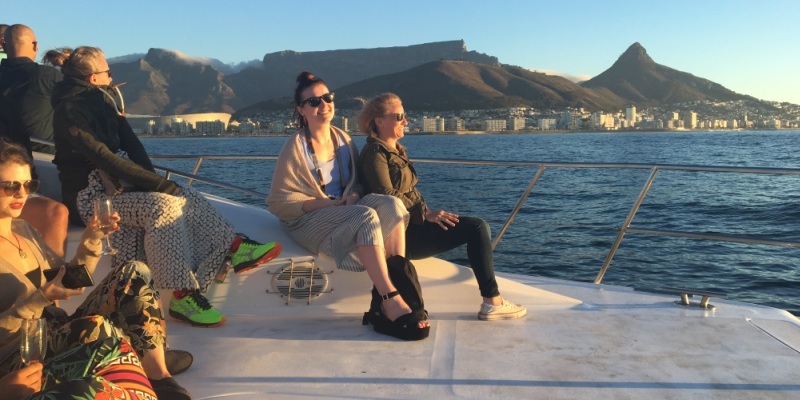 I can't think of a better way to enjoy our first day in Cape Town, and implore everyone to experience the Tigger 2 Royal sunset cruise - tourist or not! Huge thanks to Philippe and Shihaam for inviting us along, and hopefully we shall return one day to join you once again. What time does the sunset cruise depart? Departure times will vary throughout the year depending on when the sun sets, but they will always be one hour before sunset.